THE HUMANS – Toyah Willcox, Bill Rieflin, Chris Wong – release their second full length album SUGAR RUSH on 27 September in USA/Canada on The End Records and for the rest of the world on 2 October on Toyah’s own Vertical Species label. The 13-track album has already received critical acclaim, with a 4-star review proclaiming it “a hybrid of haunting and sweet, this album intrigues from start to finish”. The band has dedicated three years to establishing their sound, songs and performance. 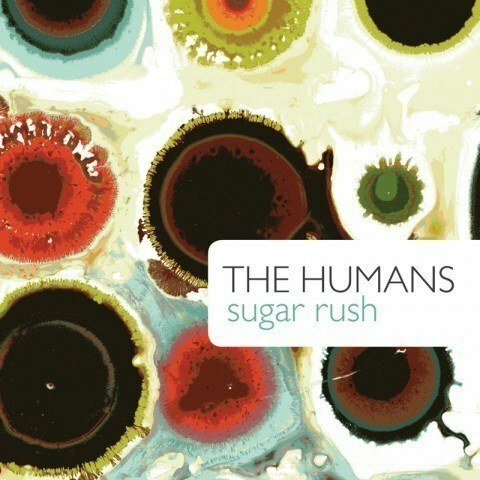 Crystallizing what is at the core of The Humans’ manifesto, the album Sugar Rush bears a cinematic density with stirring moments of exhilarating energy (Sugar Rush) tender contemplation (Love In A Different Way) and brooding soundscapes (Sea Of Size). The album also features guest ‘Human’ Robert Fripp on all tracks. Sugar Rush sees further maturity in the band’s material and a solid set of songs which are experimental yet accessible, grungy yet vocal-led and as delicate as they are unnerving. An additional four bonus tracks were made available as the Live At Scala London EP as a free digital download with a code/instructions inside the UK album artwork.